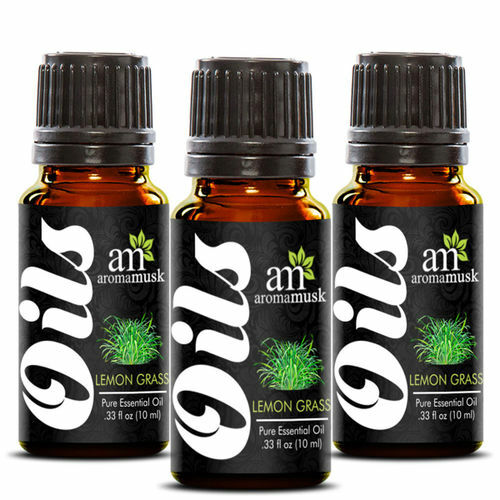 AromaMusk's LemonGrass Oil has a blend of citrusy and earthy aroma which refreshes your mood. Lemongrass essential oil is used in aromatherapy and known for a variety of health benefits. The 100% pure and natural lemongrass essential oil is extracted by steam distillation from the fresh leaves.